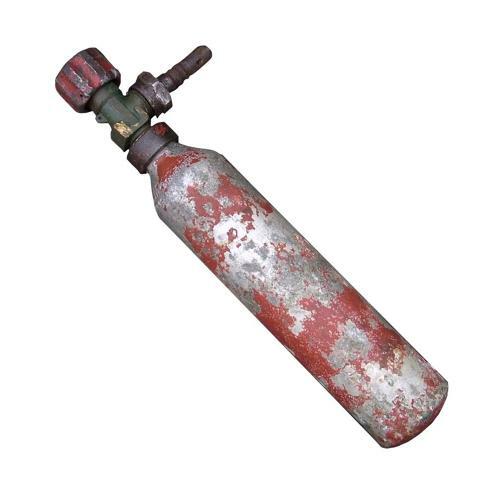 Red painted alloy bottle approximately 31cm in length (including valve and tap) x 6cm diameter. Much of the paint is now absent and the surface is somewhat pitted/corroded. Extensively marked at the neck and clearly dated 27.4.44. With valve and opening/closing wheel. Although it is empty/inert this cannot be posted overseas and could potenitially be confiscated by British postal services. Collection advised. Stock code S23094A.